WE FEED YOU LIKE WE FEED OUR FAMILY. WE USE ONLY THE FINEST INGREDIENTS AND OUR MENU FEATURES MANY HOUSEMADE ITEMS. 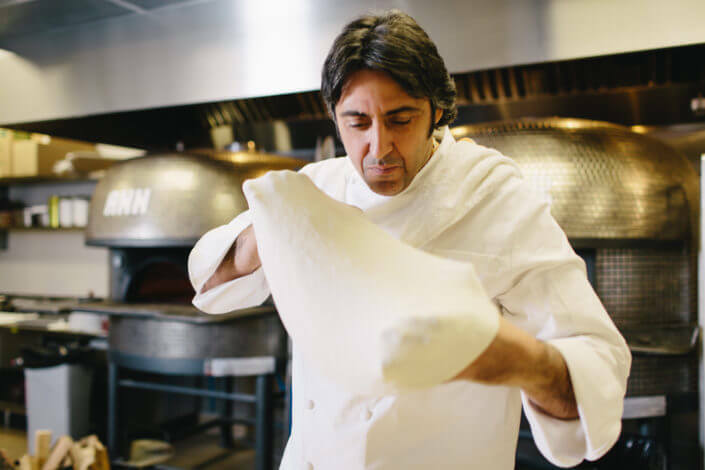 Bigalora’s founder and chef Luciano Del Signore was born in the United States after his parents emigrated from Abruzzo, Italy in the mid-20th century. 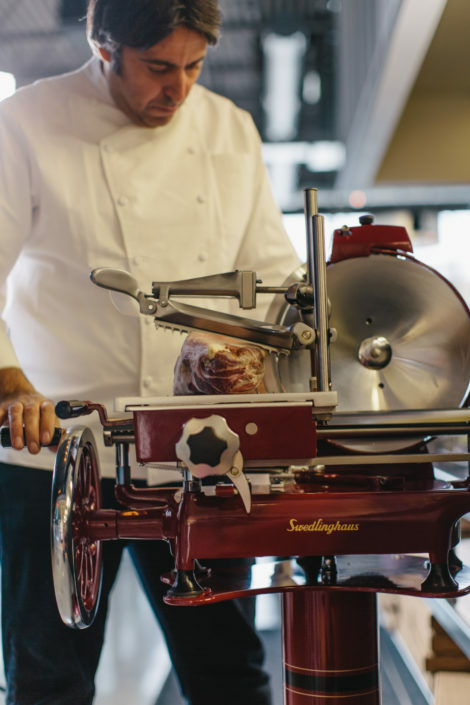 Luciano grew up working in the kitchen of his parents’ restaurant, the excellent neighborhood Italian cucina Fonte d’Amore in Livonia, Michigan. 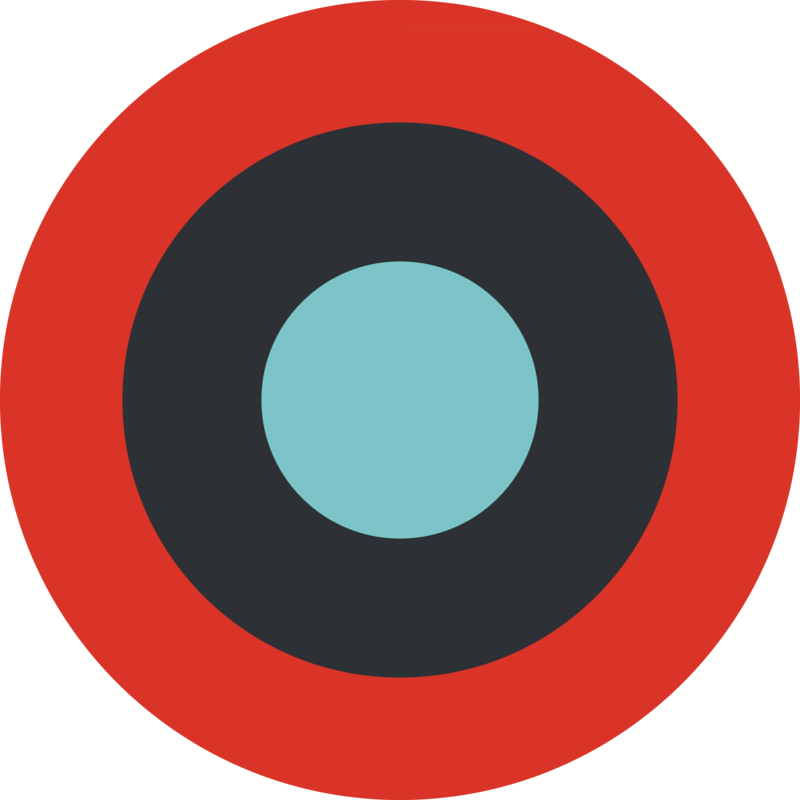 As a teenager Luciano began developing his cooking talents both at “The Fonte” and during long family trips back to his parents’ hometown in Italy. In 2002 Luciano opened Bacco Ristorante in Southfield, a fine-dining Italian restaurant with an emphasis on inventive, contemporary dishes. Over the years Bacco has won numerous “Restaurant of the Year” awards and Chef Luciano has had multiple James Beard Award nominations. 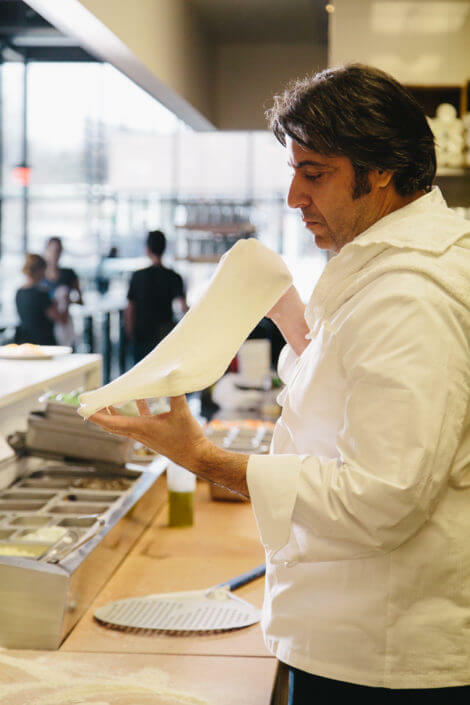 After establishing Bacco’s success, Luciano began experimenting with natural-yeast sourdough bread recipes to see if he could reproduce an authentic Neopolitan pizza dough. In his research he discovered a simple recipe for “biga,” an ancient Italian starter made from wheat flour, water, and naturally-occurring yeast. This led to the opening of the first Bigalora Wood Fired Cucina in Southfield. 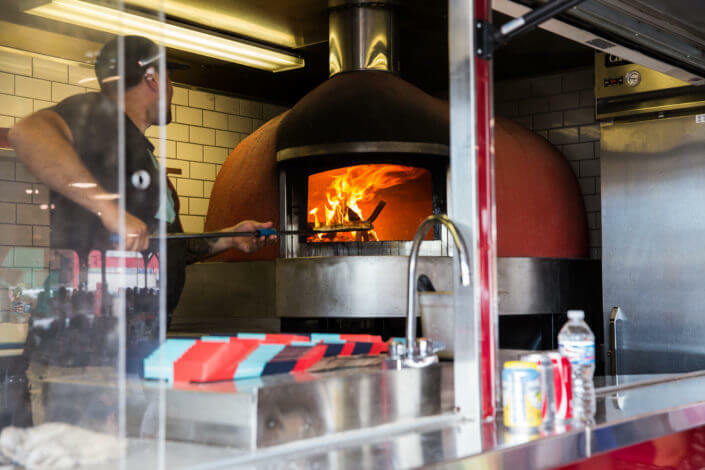 The concept was to provide his friends, family, and Bacco customers a more casual dining experience while retaining Bacco’s standards for clean, authentic cooking. With the success of the first Bigalora, Chef has developed the restaurant into a repeatable business that now feeds several metro Detroit communities. All menu items and ingredients at every Bigalora restaurant are carefully sourced to comply with Chef Luciano Del Signore’s passion for clean food. 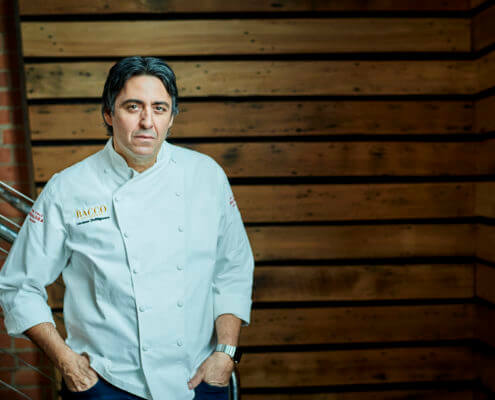 For more than a decade, Chef has honed this culinary style at his award-winning fine dining restaurant Bacco Ristorante in Southfield, Michigan. 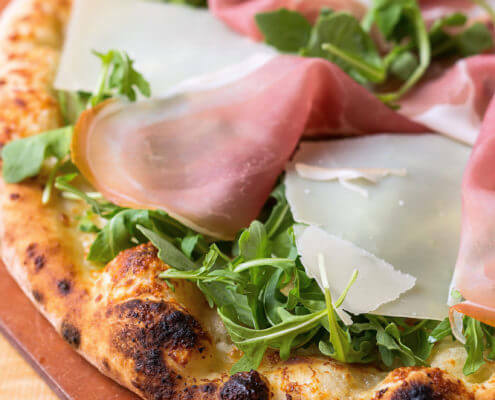 After building his success at Bacco, Chef conceived of Bigalora Wood-Fired Cucina, envisioning a multiple-location pizzeria and contemporary Italian restaurant where his family and friends would be served only the purest, healthiest cuisine in a more casual setting. Every menu item at Bigalora is prepared to Bacco standards of authenticity. For Chef Luciano, “clean” food is made with the finest natural ingredients, from scratch. It is food without preservatives, unnecessary sugars or other additives, and it is always served fresh. Bigalora is deeply committed to the local Michigan economy. Bigalora sources ingredients locally whenever possible, provided criteria for quality and authenticity can be met by local vendors. If a qualified local source is not found, we search for American-made products. If, however, the best sources are from outside the USA, those ingredients go in the food. Clean food is a necessity because we are cooking for our friends and family (this includes you! ), and we insist on only the best. Virtually the entire Bigalora team, along with Chef Luciano, has deep roots in the Detroit-area community. 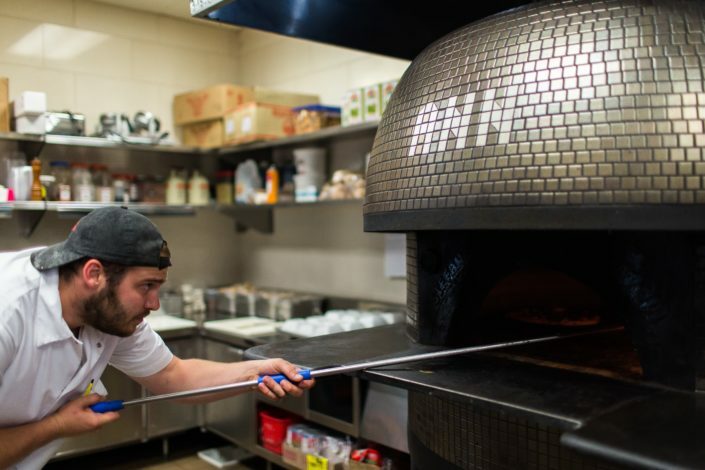 We proudly stand by the flavors and digestibility of every menu item at Bigalora, from our pizza dough to our house-made peanut butter and everything in between. A biga is technically the pre-fermented starter dough developed by Italian bakers centuries ago to ferment their dough long before commercial yeast was available at the local grocery store. 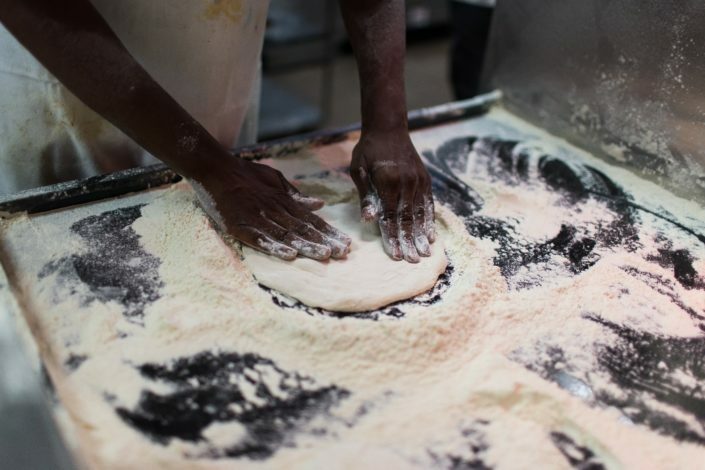 A biga is made with a small amount of water, wheat flour, and wild yeast that occurs naturally in the air all around us. It is fermented over several hours, added to a larger batch of unleavened dough, and set aside to rise and ferment more. 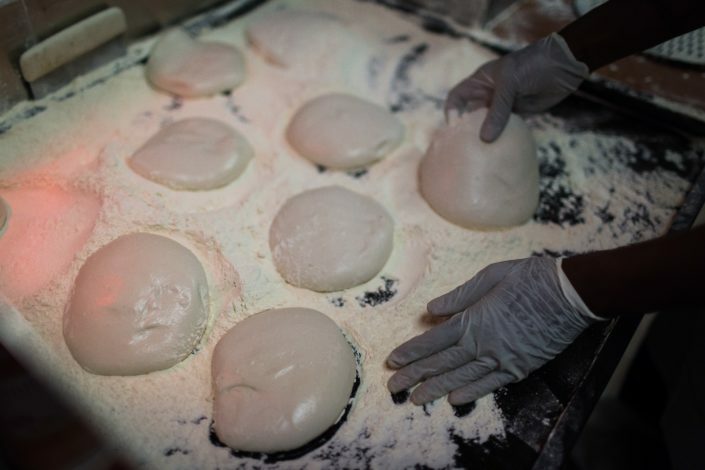 At Bigalora, this whole process takes 72 hours before our dough is ready for your pizza. At Bigalora, this slow-fermentation is vital to our clean food philosophy. During this time the grains of wheat are thoroughly broken down, greatly easing the digestibility of our pizza dough. In fact, we have many, many customers with digestive ailments who can only eat pizza from Bigalora! And slow-fermentation only occurs with natural yeast. Commercial yeast ferments much faster—the dough must be baked the same day it is made—and it requires the use of added sugars to activate the process. There is no added sugar in our Bigalora pizza dough. 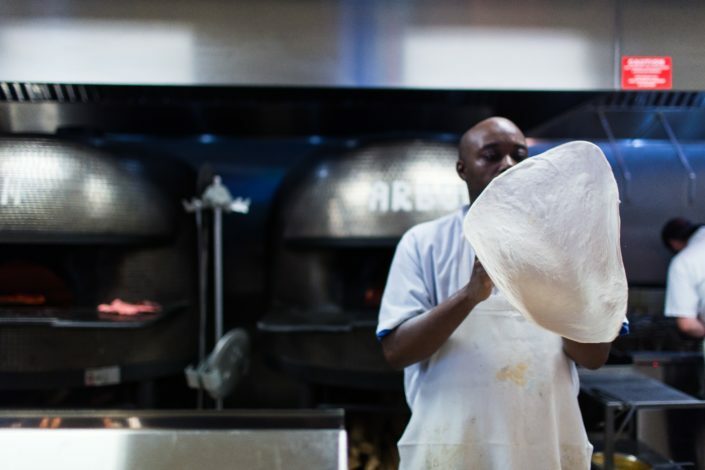 It took us two years to perfect our biga technique, and it’s now a daily ritual that our skilled bakers perform. But each bite confirms that this slow, artisanal process is so worth the effort. 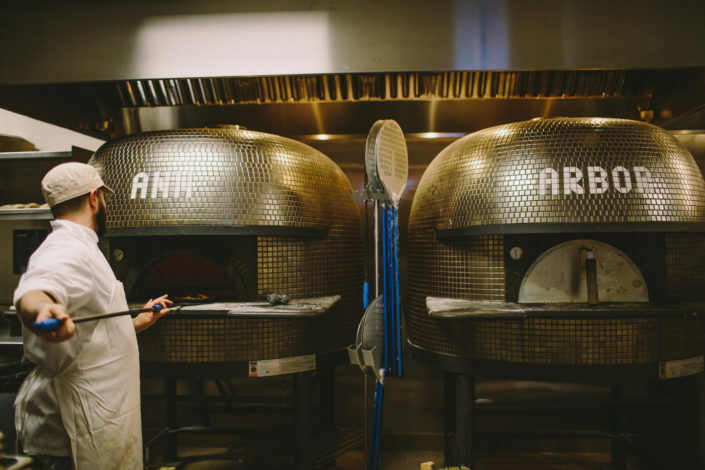 The earthy, slightly nutty flavor, the satisfying, chewy texture, and the airiness of our pizza dough are all a result of the biga process.